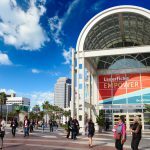 Empower 2019 is happening February 5-8 in Long Beach, California. 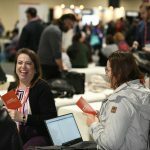 #LFEmpower attendees are already connecting with each other before the conference thanks to a favorite addition to the Laserfiche Empower experience, the Empower App. The app is available to registered attendees on iOS and Android devices, and is proving to be a resourceful and exciting tool when planning agendas, activities, and connecting with others attending the conference. Maintain your conference agenda with your in-app schedule builder! Once you’ve registered on the Empower site and selected your classes, you can head to the app to view your current schedule and make changes as necessary. Access the Schedule tab on the app throughout the conference to leave reviews, communicate with presenters, and receive real-time updates on your agenda. It’s never been so easy to stay organized at #LFEmpower! Interact with the Empower app by posting updates, taking surveys, and communicating with #FicheFriends to gain points and get on the in App “Leaderboard”. Each day, everyone who interacts with the app will get one entry into a daily raffle for some serious #FicheSwag and tech goodies! In addition, everyone on the top 20 Leaderboard at the end of each day will receive one additional entry into the raffle for prizes. Get started early by downloading the app now on your iOS or Android device to begin collecting points now! One of the best parts of Empower is all of the networking opportunities! Long-time Laserfiche users and first-time attendees have already begun interacting on the App, discussing classes, accommodations, activities, and everything in between! Log in to see the most recent updates from the Laserfiche community, and network with fellow attendees, solution providers, and Laserfiche professionals before conference begins. 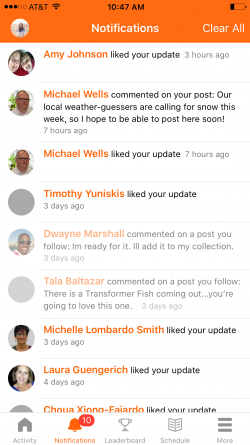 Join the continuous Activity Feed, or send private messages to fellow attendees. 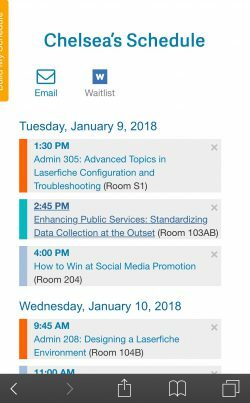 Visit social media channels via the Twitter, LinkedIn, Facebook, and Instagram tabs in the App to keep up-to-date on Empower happenings and share your experiences at #LFEmpower as well. Access the Group Channels tab to join specially designated conversations with like-minded users! Chat about Industry Trends, share what you’re most excited to learn about and discuss your number one takeaway with fellow attendees! Remember, there’s no better Laserfiche resource than your #FicheFriends! 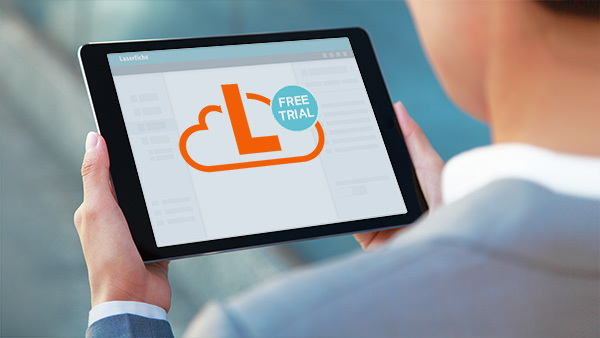 Receive real-time updates on your mobile device during #LFEmpower. Get the latest on your classes, keynotes, panels, and more with in App alerts and comments from fellow attendees and presenters. Never miss a beat with the Empower App! The Empower App offers many opportunities for attendees to offer feedback on classes, events, sponsors, and the event as a whole. 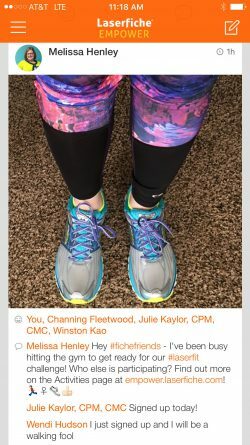 Before the conference, login to access the Polls section, where you can see responses from fellow registrants on distance traveled to #LFEmpower, and what attendees are most looking forward to at the conference. Leave reviews on classes, sponsors, and App functionality in almost every tab. 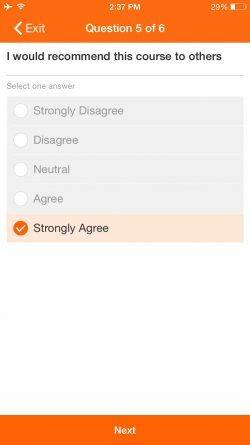 Most importantly, the App will allow access to the post-Empower survey, which offers you the opportunity to tell Laserfiche what you loved about the conference, and how we can make #LFEmpower 2020 even more spectacular! 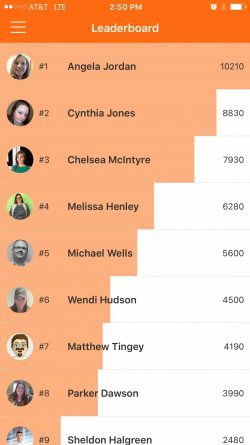 Registered attendees are already making the most of the Empower App; join the conversation and start preparing for the biggest Laserfiche event of the year! Download the Empower App here for iOS and Android devices today. We look forward to chatting with you before #LFEmpower! 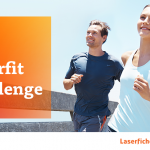 It’s not too late to register for Laserfiche Empower 2019! Get the details and secure admission here.